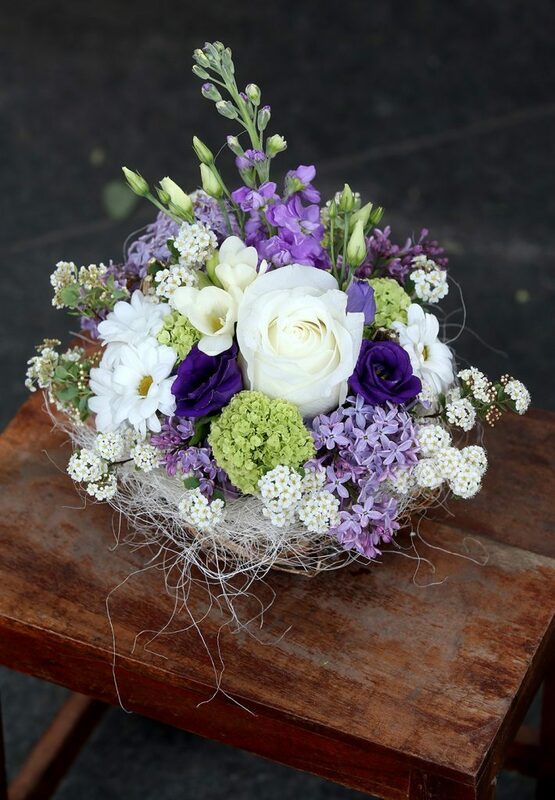 Whether it is about wreaths, bouquets, arrangements, Christmas trees or creative decorations, the Poppy, Tea, and Marijan Flower Shops offer diverse floral creations. Rafaela Petrinić from the Poppy shop conveyed to us her view of Christmas. She thinks that Christmas should be sumptuous, though she does not see popular versions of wreaths and ornaments of eucalyptus, olives and laurel as Christmas decorations. “Privately, I love minimalism, but Christmas is here to be sumptuous,” she says, and emphasises popular ilex berries, red amaryllis, and gold coloured blossomed bulbs. Currently, they focus on making small Christmas trees that are special for being small, durable, created according to the customer’s taste and what is most important, they do not come off and scatter around. 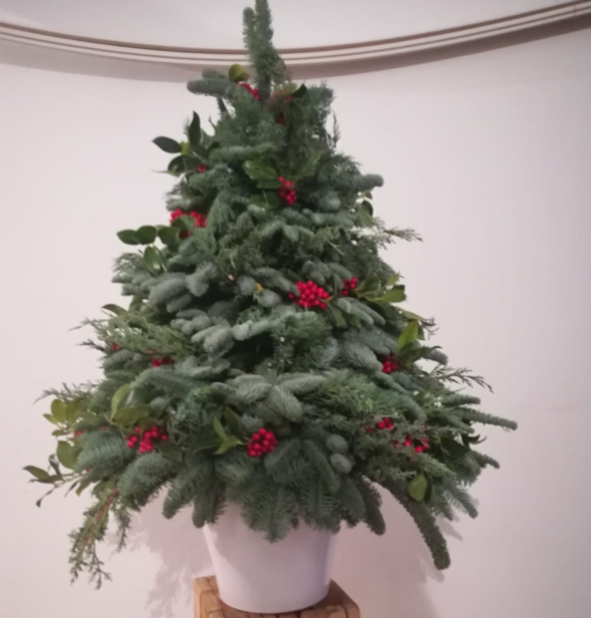 “We work on a type of a pine tree that does not come off, and we are talking about small pines, 70 cm high and above, which function more like floral arrangements than a Christmas tree,” Rafaela explains. Sponge is placed along the whole length of the tree, in which we insert pine branches so that they last as longer as possible. “We pamper our customers as much as we can, sometimes people only look for a natural tree with a little holly, or we install lamps on some so that they look exactly as Christmas trees,“ Rafaela Petrinić adds. 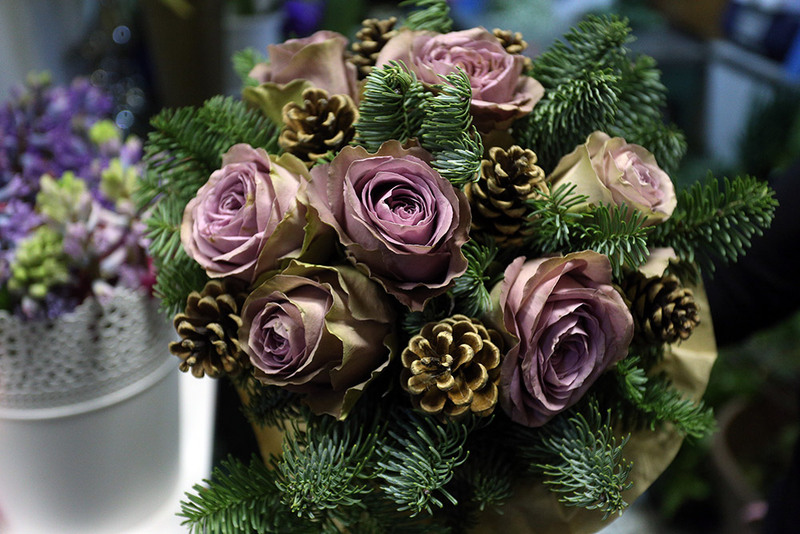 Ivana Završki at the Marijan Flower Shop does not cherish the classical floral offer for the feasts; rather, there you can find ready-made bouquets decorated with Christmas knick-knacks. “As ready-made arrangements are bought here, we have bouquets with festive details like a golden rod,” Ivana Završki says. 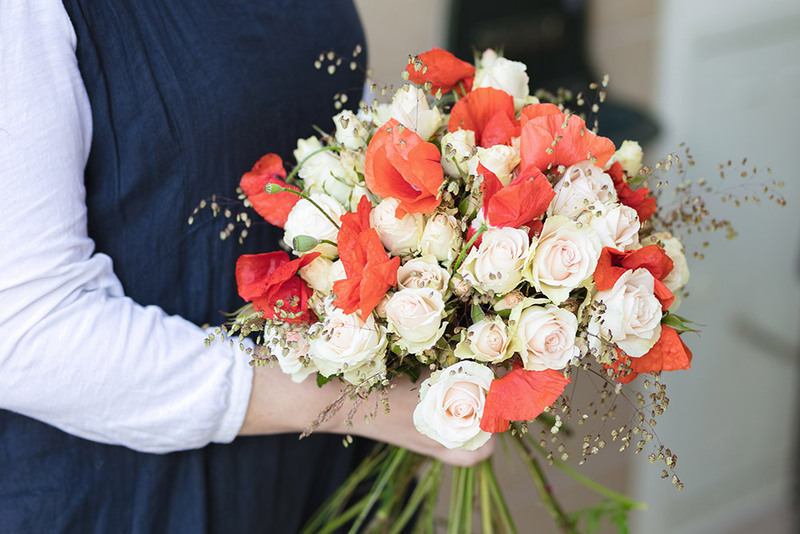 “Privately, I recommend fresh tulips that have just started blooming and are beautiful to be seen on the table, and as we currently have thirteen colours of roses in our shop, in addition to the red ones, a unique bouquet will make a perfect atmosphere at any table including the holiday one,” Ivana Završki recommends. Spomenka Fabijančić’s Tea Flower Shop has prepared for the holiday for more than a month, designing unique floral arrangements. In addition fo advent wreaths, which most people have already ordered, Spomenka Fabijančić has also taken care of those unmindful, so that you can still order a wreath or an arrangement because they make delivery in the area of Zagreb. Specifics of the Tea Flower Shop are mini advent crowns, which are suitable for any corner of your home or simply as genuine Christmas gifts for all flower admirers. By clicking Sign Up, you agree to our Terms and that you have read our Terms and conditions, including our Cookie Use.